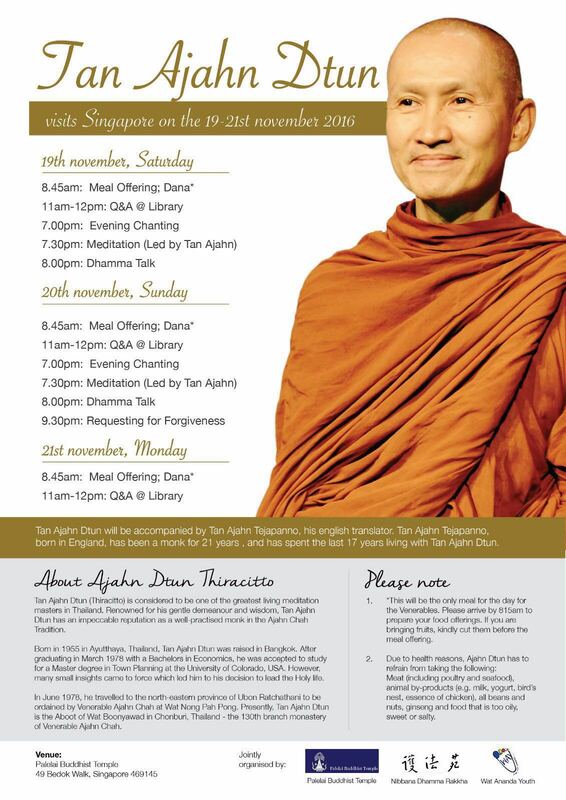 Ajahn Dtun will be visiting Singapore in November. This entry was posted in Forest Way, Uncategorized on August 18, 2016 by wayadmin. Lunch dana to Sangha is at 11.15am. If you wish to offer lunch dana, please bring along some food and be at the dining hall by 10.45am. This entry was posted in Sunday Morning Service (SMS), Uncategorized on August 4, 2016 by wayadmin.